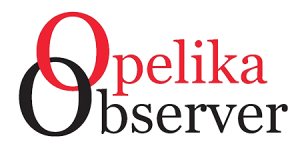 Opelika High School’s baseball team (8-22 overall, 1-3 in region play) split a pair of non-area games last week against two rivals. Auburn travelled to Bulldog Park and escaped with a close 3-2 win last Tuesday night. Tigers pitcher Jackson Arnold earned the win, allowing four hits while striking out 10 Opelika batters through six innings. The Bulldogs used three pitchers, Hooney Oh, Will Ingram and Colton Dunson. Offensively, Jackson Craft, Andrew Parr, Jackson Harris and Dunson had one hit apiece. The Bulldogs beat Central 9-2 at Ron Nelson Field in Phenix City last week. The Red Devils jumped out to a 2-0 lead after two innings. Opelika answered with nine straight runs on 14 hits during the next 5 innings. Micah Christian led with four hits, and Kory McCoy and Colton Dunson added two hits apiece. Lutrelle Gullate, Brooks Bryan, Jackson Craft, Zach Pierce and Brody Davis recorded hits. Coach Zach Blatt utilized Jackson Harris(two innings), Brayden Thomas 92 pitches), Dozier Smith T (one inning) and Jace Rhodes (two innings). The four allowed three hits and two runs. Opelika played Russell County in Seale last night. The area contest was not complete at press time. The Bulldogs will host Russell County for two games Thursday, with first pitch scheduled for 5 pm. 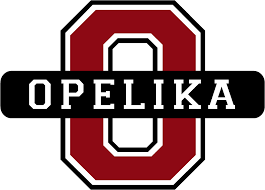 The Opelika girl’s tennis team split matches this week, beating Central and losing too Benjamin Russell. The girls beat the Red Devils 8-1 behind singles winners McTier 8-0, Bearden 8-0, Yountz 8-2, Trotter 8-1 and Long 8-0. Doubles winners were McTier/Bearden 8-6, Yountz/Gagliano 8-6 and Tufts/Daffin 8-1. Central beat the girls 6-3. McTier and Gagliano were the only two single winners. Tufts/Daffin won the only doubles match. Opelika’s boys swept Central and Benjamin Russell. The boys beat Central 9-0. Singles winners were Walker 8-1, Estes 8-2, Whatley 8-0, Hudson 8-0 and McKay 8-4. Double winners were Walker/Whatley, Estes/McKay and Rush/Davidson, each winning by a score of 8-0. The boys team defeated Benjamin Russell 8-1. Single winners were Walker, Estes, McKay, Whatley, O’Quin and Hudson. Whatley and Walker won the only doubles match for Opelika. The OHS Softball team (9-12) beat Russell County 13-1 after losing 7-6 in a heartbreaker to Beauregard. The Lady Bulldogs defeated RCHS 13-1 in four innings because of the mercy rule. Four players had multiple hits and runs. Dreamer Denmark scored three runs on 2 hits, Avery Davis scored twice, recording four RBIs in two hits. Makai Gagliano went two-for-two with a double and two RBIs. Jade Motley scored twice on two hits while Takhia Mims and Kayla Fourtenbary added singles. The Lady Bulldogs lost a heartbreaker against Beauregard. Holding a 6-5 lead in the eighth inning with two outs, Opelika dropped a fly ball, allowing the Hornets to score two and win 7-6. Offensively, Kayla Fourtenbary, Dreamer Denmark, Takhia Mims, Avery Davis, Makai Gagliano and Kayla Gunn all recorded singles. Congratulations to the Opelika Middle School softball team! The girls finished the 2019 season 23-4. The Lady Middle School Bulldogs finished the season with a 15-0 win over Russell County. The entire team deserves recognition! The Opelika girls defeated Russell County 10-0 last week. Amiya Brown led Opelika with four goals, Megan Noon scored three goals, Estefany Alba added two goals and Erica Mathews scored a goal. Emily Lux and Kaitlyn Goodman earned the shutout. The boys defeated Russell County 4-1 last week at the W. James Samford Soccer Complex. Charlie Garcia scored two goals while Anthony Alba and Yordy Chavez scored goals. The boys Soccer team beat Trinity (Montgomery) 4-1 last week. Marshall Meyers, Jose Cruz, Anthony Alba and Charlie Garcia scored goals.